Welcome to the site of the International Piano Competition 2018 "From Bach to Jazz"
Created by the Cultural Association "Nathalie" (www.association-nathalie.com) in 2013, the 2018 issue of the competition will be held under the auspices of the "Athens Conservatoire" (Odeion Athinon) of Athens, Greece, and welcomes candidates of all levels and horizons aiming to promoting all musical styles from J. S. Bach to our day, including Jazz. The Competition takes place in the month of April, in the superb venue of the Athens Conservatoire, in the center of the city of Athens (Rigillis & Vas. Georgiou B’ 17-19, 106 75 Athens). The Cultural Association "Nathalie", active both in France and abroad, was setup by the internationally renowned pianist Lilia Boyadjieva in memory of her daughter Nathalie, killed at the age of 20 by an irresponsible car driver. We will always remember her tender and cheeky smile, her "joie de vivre" and her love of all music. 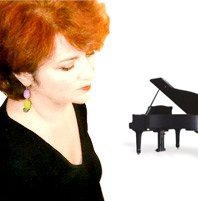 A special prize "Nathalie Voyatzis" is awarded to the best interpretation of a Jazz piece.